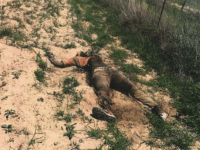 A group of armed Mexican soldiers detained and disarmed a pair of U.S. soldiers on the U.S. side of the Texas border with Mexico. The U.S. soldiers were eventually released and their weapons returned. 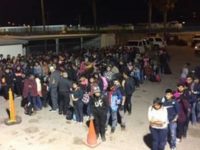 El Paso Sector Border Patrol agents apprehended more than 1,800 migrants who illegally crossed the border Tuesday. More than half crossed into the El Paso Metropolitan Area. 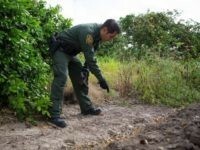 Sheriff’s deputies in a small county located about 80 miles from the Texas-Mexico border recovered the badly decomposing bodies of two migrants who died while being smuggled around an immigration checkpoint. The mayor of Yuma, Arizona, declared a “state of emergency” over the border crisis that has maxed out migrant shelters in his community. 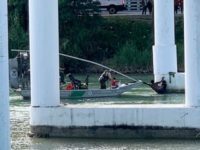 Del Rio Sector Border Patrol agents saved an unaccompanied minor from drowning in the Rio Grande River as she attempted to illegally cross last week. 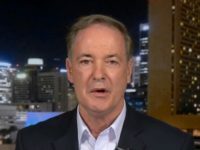 Tuesday on Fox Business Network’s “Mornings with Maria,” Rep. John Joyce (R-PA) shared insight into his trip to the southern border to see the crisis at the border firsthand and the importance of building a wall to protect the United States. 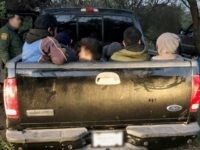 Laredo Sector Border Patrol agents arrested 57 migrants on a ranch located about 40 miles from the Texas-Mexico border on Thursday. The arrests occurred during a smuggling operation involving four pick-up trucks. Approximately 40 percent of Border Patrol agents assigned to the southwest border are being pulled from front-line national security duties to provide humanitarian services for migrants families crossing the border in record numbers. 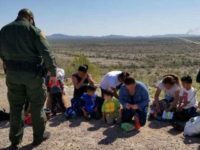 Border Patrol officials announced that the apprehension of migrant families who crossed the border illegally between ports of entry skyrocketed by 374 percent when compared to the first six months of the last fiscal year. Agents apprehended 189,584 Family Unit Aliens (FMUA) during the first six months of Fiscal Year 2018, which began on October 1, 2018. This is up from 39,975 during the same period in Fiscal Year 2018. Sen. Kamala Harris (D-CA) proposed restoring U.S. foreign aid to Central American countries to help solve the immigration problems plaguing the U.S.-Mexico border. 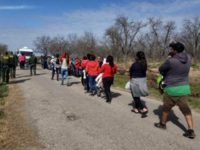 The surge of Central American migrant families and unaccompanied minors is overwhelming charitable organizations along the border who are tasked with providing shelter and aid. Recent changes in Border Patrol policies led to migrants being released directly to shelters instead of being turned over to U.S. Immigration and Customs Enforcement officials. A video published by ABC News shows a group of migrants abusing young children who appear to be in no imminent danger by forcing them under a razor-wire lined border fence in a water-filled ditch. The children scream in terror as the adults force them into the cold water and submerge them while passing them under the concertino wire-lined border barrier. 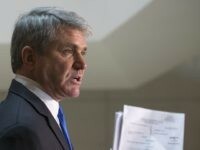 Several key Republicans have declared their opposition to President Donald Trump’s order to freeze direct aid to El Salvador, Guatemala, and Honduras, including the ranking Republican on the House Foreign Relations Committee, Rep. Mike McCaul (R-TX). 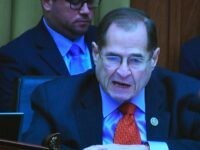 These GOP critics offered the same argument as the Democrats, namely that cutting off funds to anti-poverty and law enforcement programs in the “Northern Triangle” countries will make the migrant crisis even worse. Del Rio Sector Border Patrol agents rescued a mother and her three children from drowning in the swiftly moving Rio Grande River that separates Texas and Mexico. 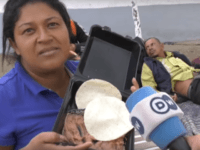 A caravan migrant from Honduras who complained about being given beans to eat during her journey through Mexico is now in a Texas jail facing one charge of aggravated assault with a deadly weapon. The woman became the topic of a viral video during her journey. The woman’s sister is also facing similar charges and both have an immigration detainer placed on them preventing them from bonding out. 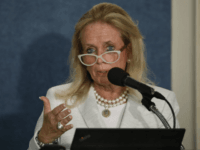 The ongoing border crisis forced Border Patrol officials to implement a massive catch and release program where most migrants illegally crossing the border are released shortly after being processed. 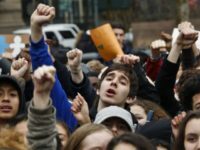 The policy comes as Border Patrol officials estimate that more than 100,000 migrants will be apprehended in March. Border Patrol Agent Hector Garza told Fox News that Congress needs to “get serious and stop rewarding illegal immigration.” His comments follow one of the busiest weeks in Texas immigration history that saw nearly 1,700 migrants illegally cross the border in the Rio Grande Valley Sector in a single day. 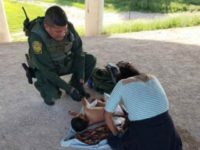 Del Rio Sector Border Patrol agents rescued a migrant toddler who suffered seizures and convulsions after her mother carried her across the Rio Grande River on Monday. The agents treated the child at the scene and arranged transportation to a hospital. Rio Grande Valley Sector Border Patrol agents apprehended nearly 1,700 migrants in a single day in South Texas. The apprehensions represent the largest single-day total for the sector since 2014. 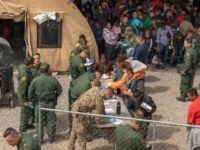 Rio Grande Valley Sector Border Patrol officials said that at least 25,000 migrants evaded apprehension this fiscal year after illegally crossing the border from Mexico into South Texas. These are in addition to the more than 120,000 they successfully apprehended. Del Rio Sector Border Patrol agents apprehended more than 500 mostly Central American migrants over the past weekend. 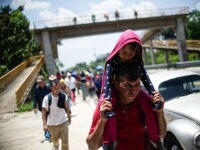 The apprehensions included one group of 60 Honduran nationals, including women and young children. 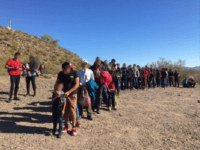 Tucson Sector Border Patrol agents apprehended nearly 400 Central American migrant families after they illegally crossed the border in the Arizona desert over the weekend. The strategy of cartel-connected human smugglers continues to tie up Border Patrol resources. El Paso Sector Border Patrol officials reportedly closed down inland immigration checkpoints to move more resources to the border. The move comes as the El Paso Sector faces a massive number of illegal large-group border crossings by Central American migrant families. The closures amplify the current crisis along the southwest border. 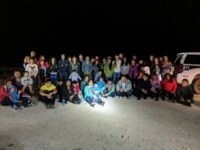 Del Rio Sector Border Patrol agents rescued two groups of migrant families from the Rio Grande River as they attempted to illegally cross from Mexico. The groups included three young children who were at risk of drowning. Border Patrol agents in Arizona continue to deal with “large” migrant groups exploiting weaknesses in outdated border technology to illegally enter the U.S. 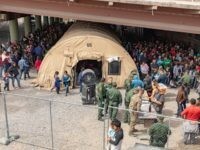 Most recently, human smugglers coordinated the border crossing by a group of more than 170 who dug under a portion of a barrier in the Yuma Sector. 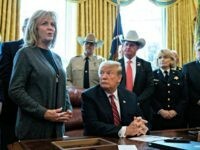 Angel families celebrated in the Oval Office with law enforcement and President Donald Trump as he signed his first veto to retain his border emergency declaration Friday. 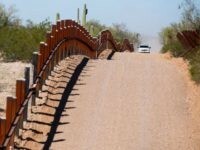 Tucson Sector Border Patrol agents say they apprehended nearly 400 migrants in a 48-hour period after they exploited outdated border vehicle barriers to illegally enter the U.S.